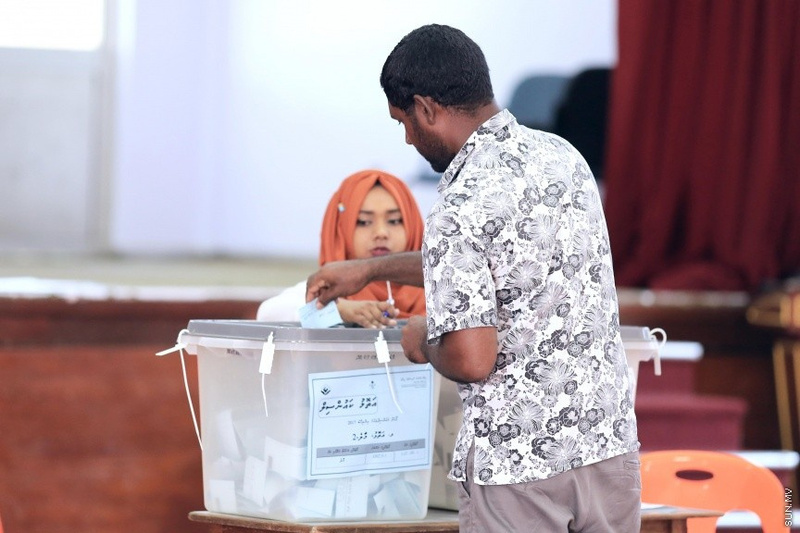 An estimated 477 ballot boxes will be kept for the upcoming Maldivian Presidential Elections, says Elections Commission (EC). Speaking at a press conference held by EC this Wednesday to provide an update on the Presidential Election, President of EC, Ahmed Shareef said that though the commission estimates 477 ballot boxes will be kept for the elections, the number may be subject to change. “The exact number will be finalized after registration,” said Shareef. Shareef said that of the 477 ballot boxes; 54 ballot boxes will be kept for voters from Male’ City, Vilimale’ and Hulhumale’, and 74 ballot boxes for citizens of other atolls living in Male’ City. EC estimates that 302 ballot boxes will be kept in other islands, 24 ballot boxes in resorts, seven ballot boxes in industrial zones, four ballot boxes in prisons, and 12 ballot boxes in other countries, says Shareef. Shareef said the EC has completed surveying for potential locations in Maldives were ballot boxes need to be kept. And that the commission is currently in the process of surveying for potential locations outside Maldives were ballot boxes need to be kept. He said charts will be kept at every election center to show voters the ballot boxes they need to cast their vote to, and that the commission will be preparing pamphlets containing all such necessary information for voters. “Those who view it will know, to which ballot box, for example, voters who are residents of a certain block in Maafannu district need to cast their vote to. We will prepare the bullets so it’s clear to those who view it. It will be shared with representatives of candidates and political parties,” said Shareef.